Videogames, by definition, have always had an element of choice within them. After all, interactivity separates games from other, more passive forms of entertainment. But what is extraordinary is the recent advent of games incorporating choice into their narratives and character arcs in order to say something meaningful either about the human condition, the wider world or even about the genre of videogames themselves. Consequently, this evolving role of choice is contributing to the slow but sure advancement of videogames as a contested form of art. The critical role of choice is ultimately a very simple one: it allows the player to completely and totally immerse themselves with the protagonist. When the protagonist makes decisions in a more linear game, the experience is like watching a film with playable segments. However, when plot-relevant decisions are left to the player then not only does the player feel like the protagonist is an extension of themselves and their own values and principles, but said decisions are more meaningful as the player is fully aware of the context, difficulty and predictive consequences of making them. Do you take mercy on the enemy who just tried to kill you, or do you finish them off such that they’ll never be a threat again? Do you betray a trusted ally to further advance your own cause, or do you stay loyal regardless of the consequences? Choice allows videogames to go beyond merely a passive experience to an active one, with videogames evoking passion, rage, sorrow and even guilt for choices made. It is one thing to see your avatar express regret for decisions that the writer foisted upon them and you, but when it was your own free will that resulted in such actions, that adds so much more impact to the emotion, inextricably tying the player to the character in a way that film or literature could never achieve. 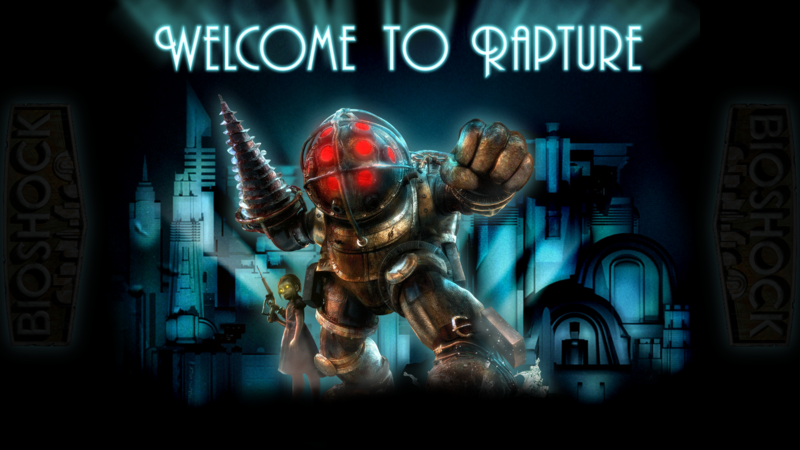 For instance, BioShock, a shooter set in an Objectivist-inspired underwater steampunk utopia, broke ground with the way it merged story choice with gameplay preference. A player could advance themselves in the game through genetically augmenting themselves; a process that required the performance of morally heinous acts against children, and this gameplay style would result in the player being condemned by the world and lead to a ‘Bad’ ending of moral corruption, in exchange for being more powerful as measured by better gameplay performance. Alternatively, a player could handicap their ability to use such augmentations by using more conventional weaponry instead of cooler weaponry, be hailed as a savior and earn a ‘good’, more homely and emotionally satisfying ending, by saving said children. Alternatively, the Walking Dead videogame adaptation eschewed the standard violent nature of combat for a more dialogue and choice inspired approach to gameplay. While such choices in the game don’t substantially change the way the storyline develops, the illusion of such choice means that when players first play the game they feel that the story is their own. As such, the choices the player makes are so much more meaningful and immersive; whether it be stealing a car full of supplies, choosing who to try and save or even simply distributing limited rations in a certain way. Consequently, the game was praised as being the greatest critical success of 2012, and has been hailed as the first modern prototype of games truly being a form of art in their own right. Choice, and the way that the player grapples with it, will continue to be critical in the way that any artistic potential that videogames is realised. Even months later, I still feel guilty about stealing that car.